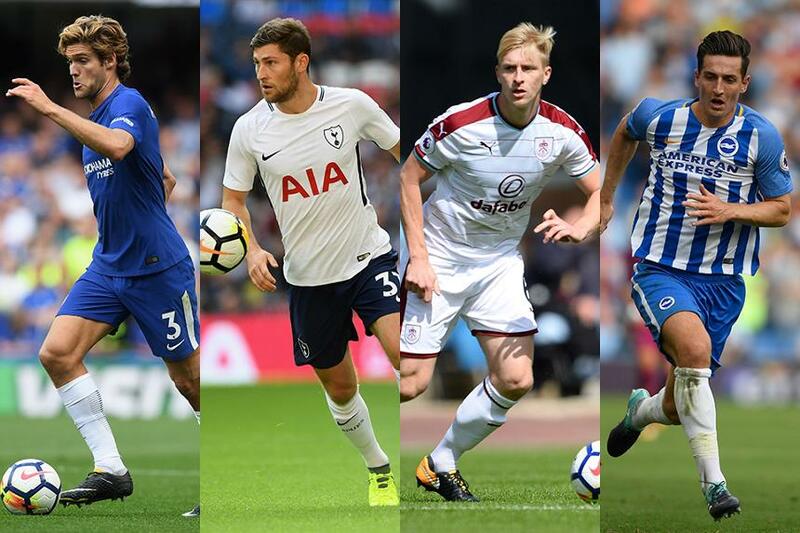 Fantasy Premier League Wildcard targets: Who should be your No 1 pick? Fantasy Premier League Is now the time to play your Wildcard? Having looked at goalkeepers to consider for your Fantasy Premier League Wildcards, The Scout continues his position-by-position analysis with his targets in defence. If you can free up funds to swoop for the Spaniard, he looks destined to repay the investment. Alonso is a force going forward from wing-back, complementing his potential returns from clean sheets. He top-ranked for ICT Threat for defenders last season and is again out in front on 94 this campaign. Earmarked for Chelsea’s direct free-kicks, having scored one against Tottenham Hotspur, he can justify the hefty £7.1m outlay. The Spurs left-back has continued to progress in the absence of the injured Danny Rose (£6.5m). Clean sheets will always be on offer from the Spurs defence, but Davies has also shown attacking promise, scoring in Gameweek 1. Also in the pecking order for corner-kicks, he has created more chances (nine) than any other defender this season. The centre-back is a real alternative Burnley selection for managers to Tom Heaton (£5.0m) ahead of a kind run of home matches for the Clarets. Their next five opponents at Turf Moor all score two or less in the Fixture Difficulty Rankings (FDR). Mee can supplement points from clean sheets with bonus and even goals. No defender has made more clearances, blocks and interceptions (55), a key metric in the Bonus Points System. Mee has also had four shots on goal on the end of Robbie Brady’s (£5.5m) expert delivery. Another cut-price option to free up funds for our attacks, Dunk can offer a steady stream of clean sheets in Gameweeks to come. Seven of Brighton & Hove Albion's next nine opponents score just two in the FDR. Like Mee, the towering centre-back also presents a goal threat at set-pieces, having had five shots, of which two were on target.